As this momentum picks up, there is a need to equip these young minds with the right knowledge and skills to effectively lead change in peace work in Africa. It starts with a seed planted in an online classroom and discussion forum – Medical Peace Work (MPW) online curriculum – that grows into a strong oak tree with deep roots. These roots become a constant and stable source for medical student peace work activism in a continent that needs exactly this kind of energy to confront its deep seated issues with war and violence. 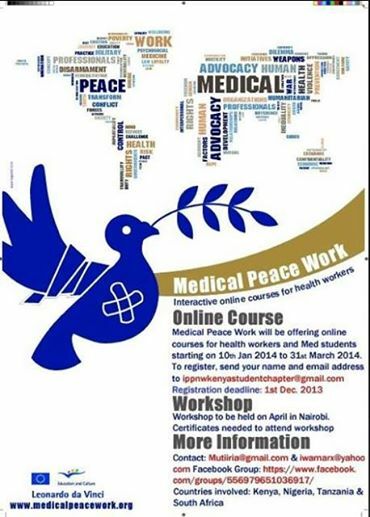 Medical Peace Work is a transnational cooperation between medical peace practitioners, peace and health researchers, teaching institutions, and final users of the project’s outcomes. ← What if Ukraine still had nuclear weapons?